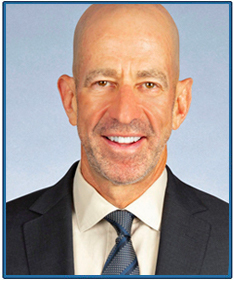 We applaud the work of NAMI Westchester, as our work at Littman Krooks LLP is aligned to their mission in helping individuals with mental health concerns. NAMI Westchester works to end the pervasive stigma that society perpetuates toward individuals with mental health disorders. Both NAMI Westchester and Littman Krooks believe that individuals who have mental health challenges can lead fulfilling lives. We work to help families ensure that their loved ones have the right legal protections, services and public benefits, educational and community services. Through their outreach programs, NAMI Westchester educates the community mental health and suicide prevention. I volunteer in the Ending the Silence program as I feel this work is critical in Westchester due to the alarming suicide rate. We applaud NAMI Westchester’s commitment to build a community of hope through their HelpLine, support groups and educatio nal classes, which helps families create support systems. At Littman Krooks, we work to help families navigate services and to obtain appropriate public benefits, and we advocate for changes in legislation. The people who volunteer with NAMI Westchester are hopeful, bright and sensitive and we love being a partner and supporting this work. So many of these volunteers share their dedication on walk day that the feeling is truly inspirational. 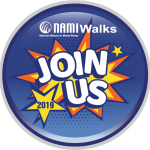 Littman Krooks is honored to sponsor NAMIWalks Westchester and we look forward to working together this year and beyond, toward improving the quality of life for all individuals and families whose lives are affected by mental illness. I will be under the sponsor tent on walk day, and hope you will sponsor as well. To learn more about NAMIWalks Westchester, click here. Children with serious chronic illnesses face immense obstacles in education and socialization. Until recently, it was not possible for a homebound or hospitalized child to attend school. However, it is happening now, with the assistance of telepresence robots. These robots, which consist of a rolling screen with a camera, microphone and speakers, allow users to hear, see, interact and move around in real time in a faraway place. They are being used to allow students with chronic illnesses to participate in traditional school environments for the first time. A child who must be at home or in the hospital can use a telepresence robot to attend classes in different classrooms, participate in small group discussions and talk with friends. This level of participation can help chronically ill students overcome their isolation, and it provides educational and social benefits that cannot be obtained from individual tutoring. Telepresence robots hold great promise for students with serious illnesses, but there are obstacles to their use, including the cost of the technology and the fact that not all school districts permit them. For other students with special needs, a wide variety of smartphone and computer applications have been developed to help with educational and adaptive needs. These include apps that help students with communication skills, or that help young adults with vocational training. The Arc provides an online tech toolbox that helps people with intellectual and developmental disabilities find applications to improve their lives. The Arc of Westchester has formed alliances with other local organizations to focus on how technology can support the functional needs of people with disabilities. The organization is opening a Technology Enhanced Simulated Studio (TESS) in Mount Kisco, New York to help young adults learn to use technology to meet challenges as they transition to adult life. If you are the parent of a child diagnosed with diabetes, it is crucial to familiarize yourself with your child’s rights. Having a developmental disability is not a prerequisite for protection under the law. Individuals with recognized disabilities, including diabetes, have the same rights to access programs and facilities as their non-disabled counterparts. This right to equal opportunity extends to the classroom. Section 504 of the Rehabilitation Act of 1973 (“Section 504”), The Individuals with Disabilities Act (“IDEA”) and Title II of the Americans With Disabilities Act (“ADA”) all ensure that students with disabilities have an equal opportunity to participate and succeed in school. These laws also provide a legal remedy for those experiencing discrimination and who are not receiving a Free and Appropriate Public Education (“FAPE”). Section 504 is a civil rights law that protects individuals from discrimination and entitles children diagnosed with disabilities that limit a major life activity, such as learning, to a FAPE designed to meet their individual educational needs as adequately as the needs of children without disabilities. However, “learning” is only one example of a major life activity which can be impacted by a disability. Even if your child has been diagnosed with Type 1 Diabetes but continues to excel academically, he or she may still be eligible for accommodations and qualify for protection under Section 504. School districts have responsibilities to address the needs of your child with diabetes and to make sure he or she can attend school safely. Section 504, IDEA and the ADA all consider diabetes to be a disability; therefore, it is illegal for schools and day care centers to discriminate against children with diabetes. However, the IDEA is only applicable under certain circumstances, if there is an educational impact and the child needs special education services. First, a student may have a cognitive or emotional disability in addition to diabetes which qualifies him or her for special education services under the IDEA. Second, a student without a co morbid disability may nevertheless qualify for special education services under IDEA as having an “other health impairment.” For example, a child with diabetes may experience frequent episodes of hypoglycemia and/or hyperglycemia which significantly inhibit the ability to concentrate, access instruction or attend school. Third, complications from diabetes may result in excessive loss of instruction time, rendering a child eligible for special education services under IDEA. Failure to qualify for special education services and an Individualized Education Program (“IEP”) under the IDEA does not mean a child with diabetes is not entitled to an individualized, written diabetes management plan which establishes the student’s medical needs and how the school will meet those needs. In addition, a student with diabetes should also seek to obtain a written plan developed pursuant to Section 504 (“504 Plan”) which establishes accommodations that a student with diabetes may need, such as permission to eat anywhere and anytime or carry a cell phone and use it in class, if needed. The 504 Plan can establish procedures and protocols to ensure that a student with diabetes can attend field trips and participate in athletics and extracurricular activities safely with appropriate assistance and supervision. Having a formalized 504 Plan will also ensure access to dispute resolution procedures should any issues arise. A school district remains responsible for providing a student with diabetes with a medically safe environment that offers the same educational opportunities enjoyed by peers even if the child is making meaningful progress academically. This includes providing the student with assistance with administering insulin and glucagon, checking blood glucose levels, and allowing the student to eat snacks during the school day. But a school district’s federal obligations to provide an equal opportunity to participate extend beyond the traditional school day and include non-academic and extracurricular activities as well. Thus, it is the responsibility of the school district to ensure that a child with diabetes has access to medical supplies and any necessary assistance not only at school but also on field trips, during extracurricular activities, and at after school clubs and sports. If your child with diabetes attends a private or parochial school, these federal laws may not apply. Only schools that receive federal funding, or facilities considered open to the public, must reasonably accommodate the needs of children with diabetes. The standard applied to private non-religious schools, nurseries, day care centers, community based organizations, summer camps after school programs and special events is not the same as the standard to which public schools must adhere. Private schools that receive federal funds are only obligated to comply with minimal obligations such as the least restrictive environment mandate, comparable facilities requirement, and the requirement to provide an equal opportunity to participate in extracurricular activities. They must provide minor adjustments to accommodate students with disabilities. Thus, it is important to understand your child’s rights and to advocate effectively for them. Parents of children with special needs often have unique financial concerns, and one way to ease those concerns is to reduce their tax burden. 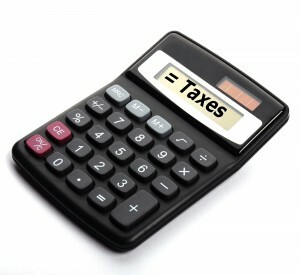 There are many tax deductions and credits available that parents may not be aware of. Parents of children with special needs should familiarize themselves with the deductions and credits and take care to document all expenses related to their children’s medical expenses, development and therapy. The first type of deduction to consider is for medical and therapy expenses. For income tax purposes, learning disabilities are a type of medical condition. This may include autism, ADHD, cerebral palsy, and other learning disabilities. While these expenses are limited by 10 percent of adjusted gross income, the limitation may be exceeded by certain types of out-of-pocket expenses. Special schooling such as: tutoring that is specifically intended to address the special needs of the child. Regular education when it is intended to treat the child’s special needs. Aides that a child may require to benefit from education. Exercise programs, if they are recommended by a medical professional. Transportation to and from special schools or therapy sessions. Equipment, devices and supplies necessary to treat or alleviate a medical condition, including technology items such as communication devices. A gluten-free, casein-free diet can be used as a deduction provided it is medically recommended. Generally, only the additional cost of the specialized foods over and above what would be paid for similar items is deductible. In some cases, legal expenses related to your child’s special needs may be deductible, for instance if you hire an attorney to help you prove that your child’s medical expenses are legitimate. Even more helpful than a tax deduction is a tax credit, which applies directly to the amount of tax you owe. The tax credits most helpful to parents of special needs children are the Child and Dependent Care Credit and the Earned Income Credit. In both cases, a credit that is normally only available for children may also be used for an older child with special needs. The Child and Dependent Care Credit may be applied when you pay someone to care for your dependent, and it provides a tax credit of up to $3,000 per dependent, to a maximum of $6,000 for two or more dependents. Child-care, after-school programs and day camp qualify for the credit. The credit is available for children under the age of 13, but the age limit does not apply to older children with special needs. The Earned Income Credit can also be useful for parents of children with special needs. The credit generally may be applied by families with a low to moderate income and children under the age of 19, or up to age 23 for full-time students. However, for adult children living with their parents, the age limit does not apply. Parents of children with special needs know that there are unique challenges involved, including financial hurdles. However, with careful planning and the assistance of an experienced attorney who is sensitive to special needs issues, you can make sure you do what is necessary to reduce your tax burden and protect your child’s interests. 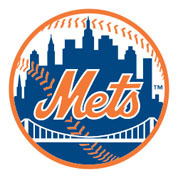 Learn more about Littman Krooks services at www.littmankrooks.com or www.specialneedsnewyork.com. On October 27, 2016, a committed group of parents and educators, on a very stormy evening, attended a workshop on: Development Mediated by Trauma: How to Recognize and Remediate Adverse Childhood Experiences, with experts Dr. Boris Gindis, psychologist specializing in trauma and Jennifer Griesbach, a psychotherapist specializing in adoptive children. According to Dr. Gindis, “Trauma is an objectively stressful event that subjectively is experienced by a person as emotional distress, disturbance and suffering.” Traumatic stress, even only unresponsive care, can cause damage to the biochemistry of the brain, he noted. The workshop centered on the understanding of Developmental Trauma Disorder and the need for patience and awareness of the issues. Ms. Griesbach and Dr. Gindis both recommended therapeutic parenting and specific types of psychotherapy and family counseling to assist children. Marion Walsh, Esq. 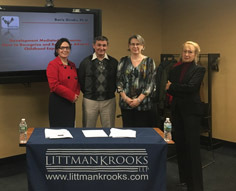 from Littman Krooks LLP noted that many schools and parents do not understand the effects of trauma on children and that school districts have an affirmative duty to locate students suspected of having disabilities, including emotional disabilities. Trauma can lead to emotional and learning disabilities. She spoke about the need for education, training and school services and placements available. More information will be forthcoming in the future as we learn more about this important topic. Visit our calendar to learn about our upcoming workshops. 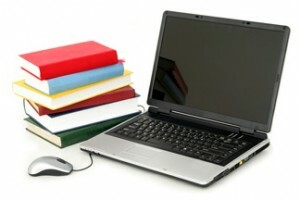 Learn about our special needs planning and special education advocacy services at www.specialneedsnewyork.com. Some special education experts say that New York’s assessment tests, aligned with Common Core standards and intended to improve student achievement, are not producing good outcomes for students with disabilities. Last year, throughout the state, there were 190 school districts in which no third-grade special education students were proficient on the language arts test. In New York City, only 12 percent of students with disabilities scored “proficient” or higher in math; in English it was 7 percent. Critics say that special education students should not have to take the same exams that are taken by students without disabilities. Last year, 20 percent of all New York students opted out of taking the exams. On the other side of this debate are special education advocates who say that setting high standards for students with disabilities encourages them to achieve. These advocates say that with the right supports and services, special education students can score just as well on these exams as their peers without disabilities. PS 172 in Brooklyn is one school that has improved the performance of its special education students on Common Core exams. At PS 172, 27.6 percent of the students have individualized education programs (IEPs), well above the 18 percent citywide average. The school prides itself on personalized instruction and integration of special education students with the general education classroom. The school uses “push-in” therapists and teachers who come to the general classroom to work with students who need their services, rather than removing the students from class. This helps reduce the stigma of special education and ensures that students do not miss out on the culture of the classroom. The results at PS 172 speak for themselves. Of the 70 students from grades 3 to 5 tested last year, nearly all were proficient in math, and about 60 percent were proficient in language arts. Moving to another state is a big undertaking for any family, but it can be particularly complicated when a family member has a disability. The secrets to a successful transition are advance planning and a backup plan in case of problems. Here are a few specifics to keep in mind. If your family member with a disability is receiving Social Security Disability Insurance (SSDI) benefits, there should be no disruption in payments, as long as you inform the Social Security Administration as early as possible of your change of address. Supplemental Security Income (SSI) benefits should not be disrupted either, but the amount could change. In 2016, the federal maximum SSI benefit for an individual is $733 per month. However, some states add an optional state supplement or make food stamps or other benefits available to SSI beneficiaries, so those benefits may vary by state. Health care is a primary concern, and in this area much can change when moving to another state. In addition to finding new doctors, therapists and other service providers, you should be prepared for changes in coverage. Private health insurance policies may have different coverage or premiums in another state. If you signed up for health insurance through the Affordable Care Act state exchanges, you can take advantage of a 60-day special enrollment period, but be sure to check the eligibility requirements ahead of time. Medicare benefits should not be affected by an interstate move, but Medicaid will need to be reapproved in the new state, and the services and support available through Medicaid varies from state to state. While students with disabilities are guaranteed a free and appropriate public education by the federal Individuals with Disabilities Education Act (IDEA), a special needs student’s Individualized Education Program (IEP) will need to be renegotiated. Other services, such as day care, social programs and in-home services vary greatly from state to state. ABLE Act legislation has not yet been enacted in all 50 states, and special needs trusts should be reviewed by an attorney to ensure that they are up to date and there are no problems created by the move. Moving to a new state is a big project, but creating a checklist and engaging in advance planning will help you have an organized approach. Even with a detailed plan, it is a good idea to have a backup plan, and an emergency fund, in case of pitfalls along the way. 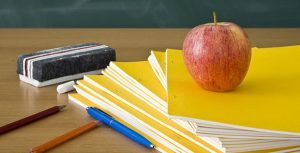 The U.S. Supreme Court is deciding whether to grant review in a case about the degree of educational benefit that a special education student should receive under an Individualized Education Program (IEP) to satisfy the requirements of the (IDEA). “Clearly, the Supreme Court should hear this important case, as the requirement that a student receive an educational benefit goes to the heart of the IDEA,” says Marion Walsh. Millions of children around the country certain are entitled to more than “some” educational benefit in public schools and the law should, at a minimum, require meaningful educational benefit. On May 31, 2016, the U.S. Supreme Court asked the Solicitor General to file a brief expressing the views of the United States on this question. The plaintiffs in the case Endrew F. v. Douglas County School District RE-1 note that currently the “courts of appeal are in disarray” on the matter of what constitutes a “free, appropriate public education,” as required for students with disabilities by IDEA. The U.S. Court of Appeals for the 10th Circuit ruled that Endrew F., a Colorado student with autism, received a free, appropriate public education from the Douglas County school district because he received “some educational benefit,” and the court thus rejected reimbursement to the parents for the cost of private school. Reasoning that the IDEA is only “designed to provide a floor” of educational quality, the hearing officer determined that the school district had provided Drew with a FAPE. The parents had removed their son from public school after a dispute over the education he received under his IEP in the fifth grade. In its decision, the appeals court acknowledged that other U.S. courts of appeal have adopted the higher standard of requiring an IEP to deliver a “meaningful educational benefit.” “The U.S. Court of Appeals for the Second Circuit requires this standards and it should be applied uniformly across the country. The standard is still too low,” says Walsh. In requesting review by the Supreme Court, attorneys for Endrew F. argue that the Court should make use of the case to resolve the dispute over this salient issue. As it has done with many IDEA cases that seem to present an important question, the Supreme Court asked the U.S. Solicitor General to weigh in. The Solicitor General is under no deadline to file the requested brief, and observers say it is unlikely that a response will be filed before the court adjourns for the summer.